Since 2009, tilapia aquaculture has been threatened by mass die-offs in Israel and Ecuador, caused by a novel Orthomyxo-like (RNA) virus named as Tilapia lake virus (TiLV). This has been reported as a newly emerging virus that causes syncytial hepatitis of tilapia (SHT). As of 2016, countries affected by this emerging disease included Israel, Ecuador, Colombia and Egypt. 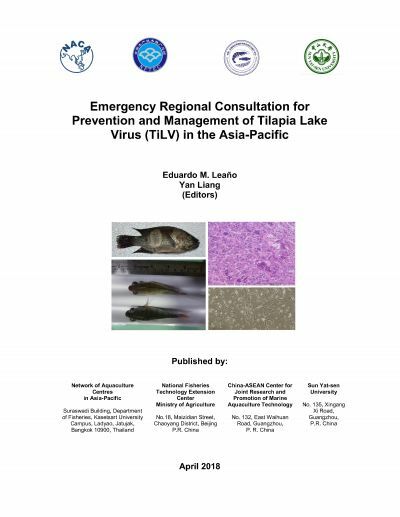 In 2017, Thailand and Taiwan Province of China confirmed the presence of the virus among farmed tilapia, which was also causing mass mortalities. These were the first reports of the disease in Asia-Pacific Region. In response to this, NACA released a disease advisory as part of an awareness programme in the region. The advisory was widely disseminated to all NACA member governments, partner institutes and other interested parties in the region and beyond. Moreover, FAO has circulated a special alert on TiLV, OIE published a technical disease card, while WorldFish prepared a TiLV Factsheet and CGIAR published a TiLV Literature Review. As tilapia is a highly important aquaculture species in the region, it is highly necessary to contain the disease in affected countries, and to prevent its spread to major tilapia-producing countries in the region. As such, countries in the region should be able to harmonise efforts in preventing the entry of the pathogen through stricter quarantine and biosecurity measures. Implementation of proper quarantine and biosecurity measures, as well as responsible movement of live tilapias within the country and across the region. Strengthening of diagnostic capacities as well as active surveillance of the disease (to detect presence or absence of the virus). Formulation of recommendations on the sanitary measures for disease prevention and emergency preparedness for countries not yet affected by the disease, considering the capacity of each country. As tilapia is a common food for many people in the region, especially among rural communities, emergency preparedness will make a big impact in the management of this emerging threat for tilapia aquaculture. 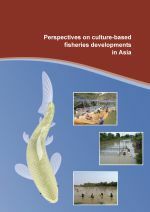 Keynote presentations covered the overall status of tilapia aquaculture in the region, major diseases affecting cultured tilapia, overview and status of TiLV in the region (and the world), the role of trade in the spread of transboundary aquatic animal diseases, and risk assessment and biosecurity as preventive measures in preventing the further spread of the disease. Status of and plans of action on TiLV in eight countries in the region were also presented and discussed. These included China, India, Indonesia, Malaysia, Myanmar, Philippines, Thailand and Viet Nam. The panel discussion dealt with relevant issues on the management, prevention and control of TiLV including the formulation of a regional plan for prevention and control of TiLV; research gaps and priorities; surveillance and reporting; listing in OIE; and the way forward. Based on the presentations and panel discussions, recommendations were made to further understand and manage TiLV in the region. For disease surveillance and diagnosis, a standard diagnostic test is still needed. There is also a need to set up two working groups to deal with TiLV investigations, one for national surveillance and another for the development of standard operating procedures for biosecurity. Understanding the genetic variations of the virus, carriers (sub-clinically infected fish) and susceptibility of other fish species to the virus are also important. Similarly, research studies should focus on validation of diagnostic tests (study of coinfection of virus and bacteria; survival of virus in frozen sample; abundance of virus in muscle tissue; the relationship between host and pathogen; phylogenetic analysis of different strains; and susceptibility of marine ornamental fishes). It is also necessary to know whether the virus is already present in the natural aquatic environment, and to identify the root cause of the disease. As the clinical signs appear to be non-specific which causes confusion, it might be worthwhile to pay attention to several areas including unbalanced “complete” feeds which might cause nutrient deficiencies, and environmental parameters that might trigger disease outbreak and proliferation of the virus.